Help please! 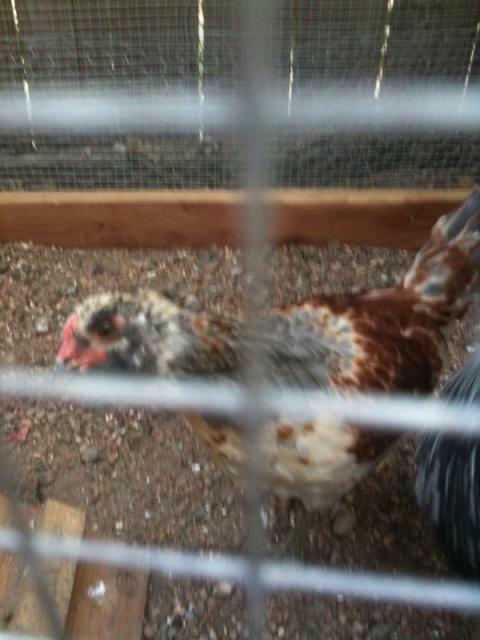 Cockerel or Pullet??? Discussion in 'Pictures & Stories of My Chickens' started by lukemcf01, Aug 6, 2009. Here are a couple pictures of "Muffin," our 10 week old Easter Egger. We got "it" as a day-old chick. With each passing day I am more convinced he is a rooster. As this is our first experience raising chickens, I am pretty new at this. He is much bigger than the two pullets we got at the same time, and I'm afraid that the red on his face and his pretty, multi-colors means it's a he. Any help you can give is very much appreciated! That is a very handsome rooster. But just wait a few months for a crow or egg. EE's are tricky. Are the others EE's, also? Are his legs noticeably thicker than the others'? I agree the comb looks a bit red but I wouldn't bet the mortgage just on the color of it. Thanks for the input... the other two we have are not EE's. One is a RIR and one is a silver laced wyandotte. They are about 1/2 the size of the EE (hatched the same day or close to it). Their feet/legs are an orangish/yellow color, the EE's are more of a dark gray with stripes and definitely much bigger and thicker (but obviously I am not comparing apples to apples). 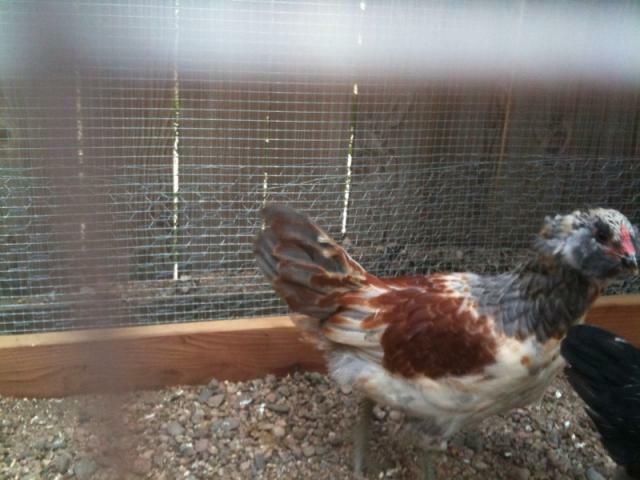 I have looked at pictures of various EE's on line, I can't find any hens that are this color (but did see a few roosters this color). It's a cockerel. I would start looking to rehome him now.